The overwhelming majority of cycling accidents are not the cyclist’s fault and injuries on the road can be serious and even fatal. At Bolt Burdon Kemp we have an experienced team representing people who have suffered serious personal injury in cycling accidents. We are recognised as one of the leading firms in this area by the independent Chambers and Partners and the Legal 500 guides. In recent years more and more people have chosen bicycles over other modes of transport due to the health, environmental and financial benefits that cycling offers. It is therefore unsurprising that cycling accidents are on the rise. 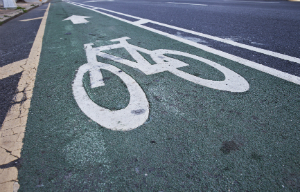 Regardless of whether you cycle as a commuter, a courier, or just for fun, if you have suffered a serious injury following a cycling accident due to the negligence of another road user, we can assist you in making a personal injury claim for compensation. Cyclists share the roads with cars and heavy good vehicles. They are therefore undoubtedly one of the most vulnerable road users. When involved in road traffic accidents, even at low speeds, they have little or no protection and can often suffer severe long-term injuries. Our specialist team of solicitors has extensive experience in helping injured cyclists who have suffered the most serious injuries including multiple broken limbs, brain injuries, spinal injuries and fatalities. If the person who caused your accident cannot be traced, or was not insured, you may still be able to claim compensation from the Motor Insurers’ Bureau (MIB). All motor insurance policies contribute to this government fund, which covers hit and run accidents and also collisions caused by uninsured drivers. If you are unsure whether you can claim, contact our team who will be able to advise you about your options. If you are unfortunate enough to have been involved in a cycling accident, there are a number of steps that you can take to help with your claim against the driver who caused the accident, and to help with your rehabilitation for the injury you have suffered. Keep a record of all expenses that you have incurred as a result of the accident as well as documentary evidence of these, in the form of receipts, invoices, tickets etc. We appreciate that where a serious injury has been suffered it will not always be possible for the other party’s details and any witness details to be obtained, or photographs to be taken. We will do all we can to obtain this information for you. Once we have notified the other party’s representatives of your claim, liability for the accident may be admitted by the driver or their insurers. If the driver denies they were at fault, either at the scene or later, we will gather together the evidence needed to prove your claim as soon as possible. We will then obtain evidence relating to your injuries including medical records and reports from experts. We will make a claim on your behalf to the defendant’s representatives, usually an insurance company, using the evidence to prove your case. If a settlement cannot be negotiated we will issue legal proceedings with the court in order to obtain compensation. If you were not wearing a helmet when the accident occurred, this is very unlikely to prevent you from bringing a claim. However, if you have injured your head, the defendant’s representatives are likely to say that the injury was partly your fault – this is known as contributory negligence. If that happens, we will advise you, and deal with the defendant’s allegations so that you still receive as much compensation as possible. It is important to bear in mind that there is no legal requirement to wear a helmet. The driver who caused the accident will have to prove that your injuries would have been prevented or reduced had you been wearing one. Some scientific evidence into cycling accidents has indicated that helmets offer no effective protection in high impact collisions. The defendant is likely to raise questions in relation to the above safety issues to attempt to reduce your claim. We will present your claim and gather the right evidence to ensure that your damages are not reduced unnecessarily. What compensation will you receive? There are various types of compensation that can be sought from the defendant following a cycling accident. The ultimate aim will be to put you back into the position you would have been in had the accident not occurred. We will instruct the appropriate medical experts to examine you and prepare medical evidence on your injuries, so that we can advise you how much compensation the court is likely to award you for the injuries sustained.. We will also work with you to calculate and gather together evidence of your financial losses. rehabilitation to assist you with your recovery. Should you require treatment in order to assist you in your recovery, our specialist team of solicitors are skilled in obtaining early interim payments from the other side in order to fund your treatment. We recognise the importance of early rehabilitation to help you to make the best possible recovery from your injuries. We can talk you through the various funding options available to you in bringing a claim. The vast majority of cycling accident clients are funded by Conditional Fee Agreements (otherwise known as no-win-no-fee agreements) so there is virtually no financial risk to you. For further free legal advice following a cycling accident, please contact one of Bolt Burdon Kemp’s expert solicitors on 0203 7971 878 or contact us online.